I managed to get some sewing in today during daylight hours, gasp! Yes, the boys played in their room while daddy bar-b-qued (remember the benefits of living in Southern California?) and mommy sewed. Awesome. I managed to finish 2, yes 2, iPad covers. Hooray for me! And I got half way through making 2 iPhone covers. I will post pictures tomorrow so I can go outside and take some pictures in the sun. Hopefully tomorrow afternoon I can start cutting into some fabric to make my next quilt that I am hoping I can finish in time for my son’s next Preschool fundraiser, fingers crossed. I’d also like to take this time to thank those of you who have been following me. I hope to see this blog grow and to one day have sponsors, host give aways, do sew alongs, etc. I also would hope that if you have enjoyed it so far, that you would recommend this blog to any friends or family you may have that would enjoy reading along as well. 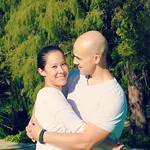 And a special thank you to my husband who has been nothing but supportive and says he really enjoys reading my posts. That encourages me to keep going, even if it is just him reading what I write.